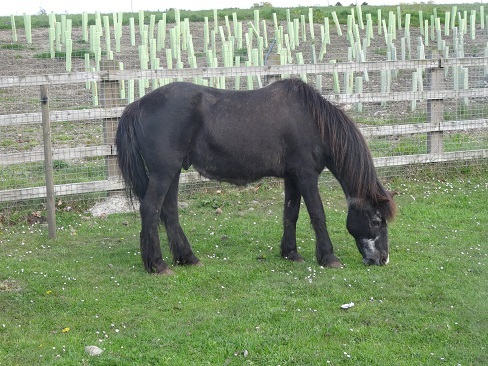 Dingo is a black welsh pony in his 30s who cam here about 18 years ago. 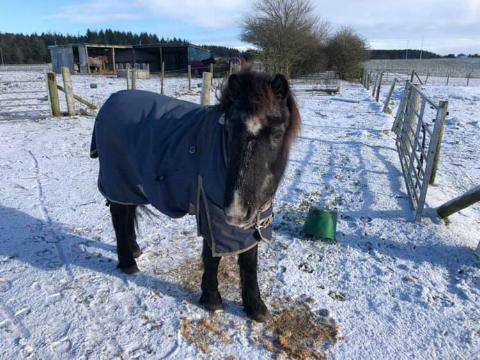 He suffered bad laminitis prior to arriving at Blaikiewell, therefore we have to be careful with his management, but with mothly hoof trimming and low protein feed, he became sound in a few months and was lightly ridden by small children who adored him. 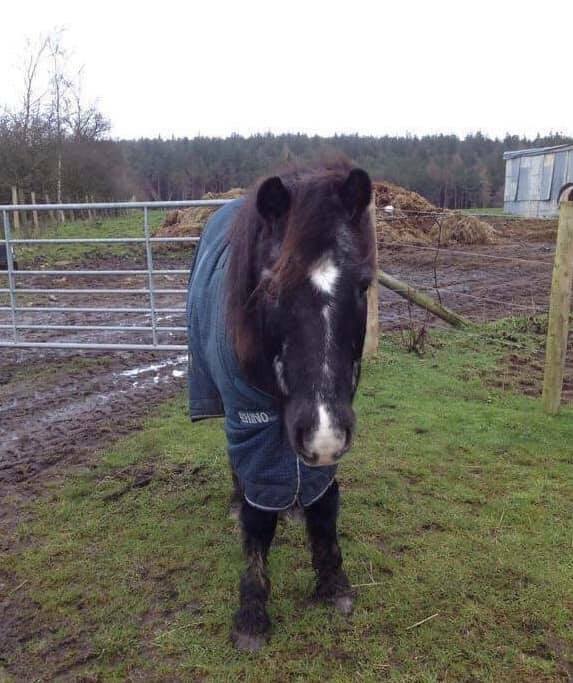 He is retired now and spends much of his time wandering around the tracks between the fields, having escaped when someone has entered his field. It is completely safe for him and there is grass in the verges, which of course is why he likes to be there. In the summer we let some of the other old ponies join him and they all make their way to the yard gate at meal times. Their lack of teeth means they have to be given several meals daily of soaked nuts with low-sugar beetpulp and conditioner all year round as they cannot eat enough hay and grass.